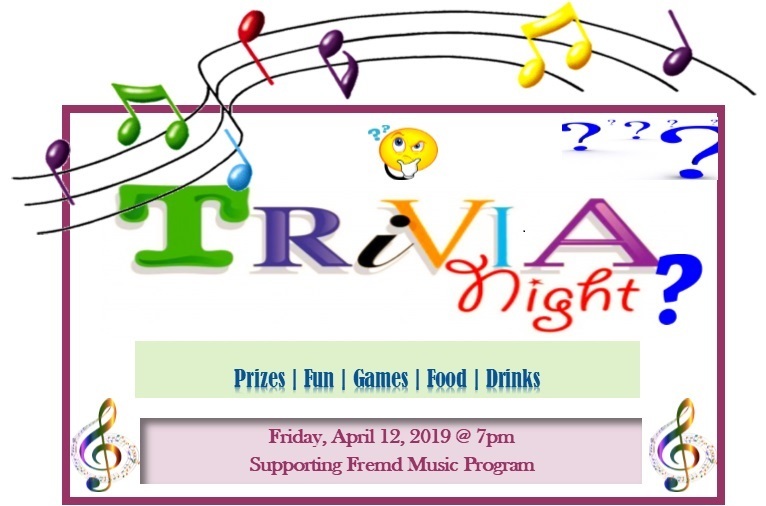 FMA will hold it’s 4th annual Trivia Night fundraiser on Friday, April 12th, 2019 at 7:00 p.m. in the Fremd Student Cafeteria. 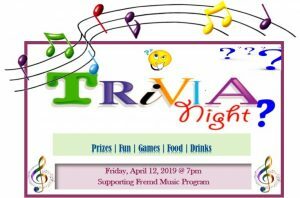 This is a great way for you to show your support for the music department and have a blast at the same time! A table costs $40 for teams of up to 8 people and all are invited…students, parents, faculty, and neighbors. Walk-ins are welcome at a cost of $5 per person and you will be placed on a team. Doors open at 6:30 p.m. when pizza, soda, water, and desserts will be available for purchase. Question rounds begin at 7:00 p.m.! !